25 March 2016 in the Conference Hall of the Faculty of Engineering organized by the Association e-development sixth conference dedicated to e-business in the Cloud was held. The conference was attended by more than 210 participants, guests and media representatives. Our company was the Platinum sponsor of the conference and presented the audience a lecture of our colleague Srdjan Kojic deputy director of the sector for the delivery of business solutions. Lecture held by Srdjan related to the practical implementation of Cisco private cloud in Telekom Serbia, with special emphasis on coordination between purchaser of the solution and supplier of the same. 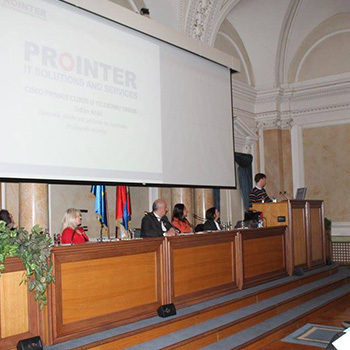 Prointer's presentation was one of the most visited in the conference as the project of implementing Cisco private cloud solutions in Telekom Serbia is one of the pioneering projects that are in such a large extent carried out by us. We are fully confident that the Cloud or "cloud computing” is one of the ways of using the Internet and remote ICT resources that are increasingly gaining in importance when it comes to the implementation of e-business and the transition to the digital economy. The introduction of e-business in the Cloud offers extremely increased the efficiency of such operations. Bearing in mind the trends, Cloud and Cloud technologies will be dominant in the future of electronic commerce and successful digital economy to such an extent that it might be called even Cloud economy. 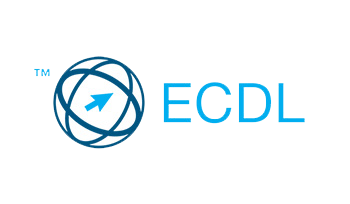 ECDL – European Computer driving License is a test of knowledge of the essential concepts of ICT that verifies that the certificate holder is fully competent to use personal computer and basic software applications. Education by ECDL program aims at expanding computer literacy in Serbia, which is the requirement for entry into the IT society.